Is intention simply wishful thinking, or is it a force that can actually change the world around you? 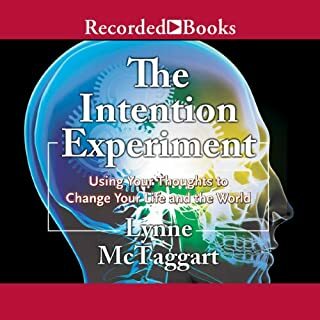 Nobody has made a more comprehensive investigation of the power of the mind to influence the universe than Lynne McTaggart. Her conclusion: Thought does shape reality, but much depends on how skillfully the thinker can use his or her intention. 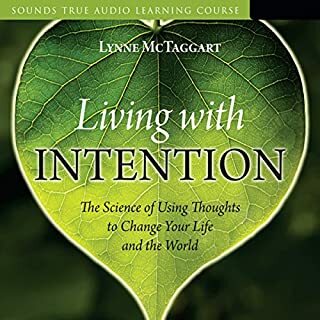 With Living with Intention, this groundbreaking author builds upon her findings from The Field to explore what makes mind-over-matter work, what can interfere with its effectiveness, and how you can use focused thought to enhance your life, help those around you, and transform your world. 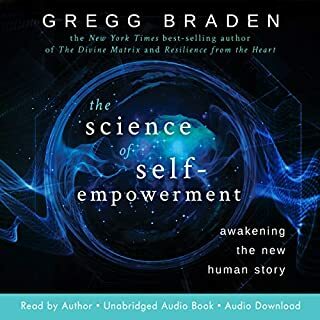 From the best-selling author of The Intention Experiment and The Field comes a groundbreaking new work---a book that uses the interconnectedness of mind and matter to demonstrate that the key to life is in the relationship between things. We are always connected with others, hardwired at our most elemental level---from the quantum level to the cellular, from personal relationships to business and societal structures. The cutting edge of quantum physics is not just found in a laboratory or university - now, you can live each day on the frontiers of science. 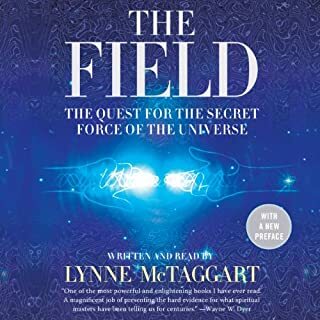 Lynne McTaggart's revolutionary book The Field captivated readers around the world with its exploration of the unseen dimension where science meets spirit. But that was only the beginning. 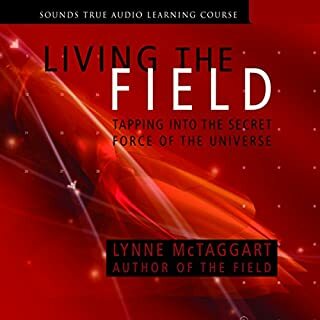 With Living The Field, this pioneering investigator presents a full-length audio workshop about using the scientific discoveries of the quantum age to supercharge your life, health, and consciousness. This a classic occult novel from the late 19th century that touches upon such themes as karma, reincarnation, secret societies, meditation, yoga, Saint Germain, conspiracies, and much more. Cory Thomas Hutcheson is amazing! Discover how to tap in to your extraordinary human capacity for connection and healing using astonishing new findings about the miraculous power of group intention and its boomerang effect in this new book by the author of the international best sellers The Intention Experiment and The Field. What we send out into the universe comes back to us magnified. Although the power of intention - the energy of positive thoughts - is widely accepted as an influential force in transforming lives, the exponential power of group intention has never been explored - until now. 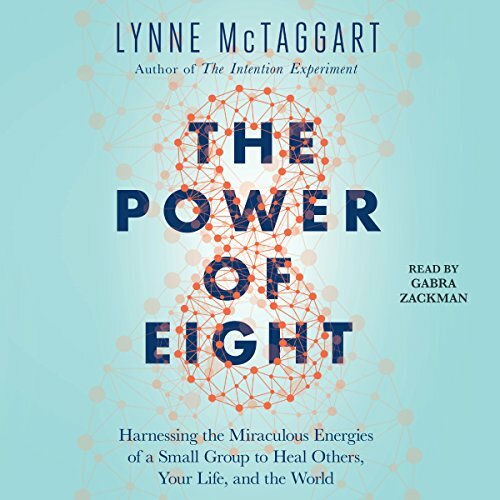 In The Power of Eight, Lynne McTaggart, an expert on the science of spirituality, reveals her remarkable findings from 10 years of experiments about how group intention can heal our lives - and change the world for the better. When individuals in a group focus their intention together on a single target, a powerful collective dynamic emerges that can heal longstanding conditions, mend fractured relationships, lower violence, and even rekindle life purpose. But the greatest untold truth of all is that group intention has a mirror effect, not only affecting the recipient but also reflecting back on the senders. Drawing on hundreds of case studies, the latest brain research, and dozens of McTaggart's own university studies, The Power of Eight provides solid evidence showing that there is such a thing as a collective consciousness. Now you can learn to use it and unleash the power you hold inside of you to heal your own life, with help from this riveting, highly accessible new book. ©2017 Lynne McTaggart (P)2017 Simon & Schuster, Inc. I signed up to be a part of a power of 8 group in my hometown and so I listened to the book in preparation for our first gathering. The narration made it very difficult to get through this book. The narrator has a lovely fluid voice for most of a paragraph then will shift into a very harsh, grating voice that was almost unbearable. It was difficult to focus on the content because of the narrator's shifts in intonation. Too many statistics recited -- it's almost as if it doesn't know what it wants to be, stories about the successful experiments or a quantitative report. Yes, it could be both - -but more artfully strung together. And worse - I got curious and joined the online group run by the author and discovered that in order to "help" people in these experiments, they focused on the horrific details of their ailments instead of seeing the subject as a whole being with the intrinsic potential for total health and thriving... it's amazing to me that have any success. 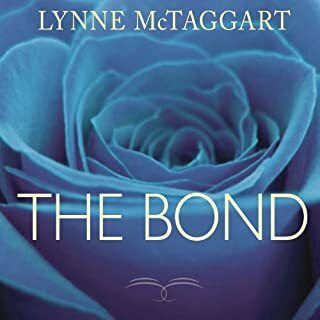 I've known about Lynn McTaggart's work for a while and I respect what she's trying to accomplish. I loved the book, but the voice of the narrator is a challenge. Quite pleasant and melodious in the upper range, it starts most every paragraph with a sudden drop into a lower pitch, where her voice is harsh and "growly". This creates quite a jarring effect and makes listening to the book rather challenging. I found myself in need of frequent breaks from her voice. I'd seriously consider re-recording of this amazing book! The recording quality on this recording is very poor. it's very easy to tell where the reader stopped &amp; continued again with different tone &amp; inflection in the voice. I found that to be very distracting for me! The information is true to McTaggarts meticulous research however. I listen to audio books so much because of my commute. Looks like I'll have to by the physical copy of the book! Lynne McTaggart makes the ideas and execution of the ideas on healing clear for everyone. Complex ideas are made simple and worth the time to implement them. I will read it again and recommend it highly. I had expected this to be a layman’s version book but it was very technical. Lynn went into great depths about the scientific aspect of her experiments, not what I expected at all. She also went into detail about the human aspect of the experiments. Overall very good book. What an amazing testimony per the power of our minds/beliefs....the various applications have literally changed my life. love this book.got so much out of it. it has motivated me to start my own healing group . thank you!